No matter what your role is in the life sciences, you have to be aware of the prominent emphasis being placed on the value of medical therapies. Whether the therapy is medical, surgical, a new process, or a device, the value the therapy will deliver is the focus. In the United States, reports and discussion on the impact of the Patient Protection and Affordable Care Act (PPACA), commonly called the Affordable Care Act, dominates health care news and impacts planning and strategies of health care industries. In the United Kingdom, the evolution of the National Health Service (NHS) continues with frequent debate on decisions and policies of the National Institute for Health and Clinical Excellence (NICE) that sets guidelines for medical practitioners as to how various conditions should be treated and whether or not a particular treatment should be funded and at what level. Germany's Act on the Reform of the Market for Medicinal Products (AMNOG) has been in place since January 2011 to curb expenditures for medicinal products by statutory health insurance funds. These are just a few of the regulations, bodies, and their processes that have driven the focus on value in health care. How can the value be measured? How will the value differ from the standard of care (SOC)? It is my belief that Mr. Jimenez's statement and the RWJ report have both distilled the remedy for the ills of biopharma down to the essence of basic marketing: deliver an offering with value for the buyer. Without rehashing why many biopharma companies are in a desperate situation, their future success will depend upon taking prudent and methodologic steps to develop new product offerings that deliver meaningful medical value. Though the future is challenging, it also promises excellent upside potential for those companies that can maneuver and recreate themselves to overcome the obstacles in delivering value. A broad overview of how to develop medical value follows. The five members of the MVS have their individual set of priorities in how they would describe a future product as being valuable. Though overlapping priorities may exist between each member's set of priorities, the relative importance of these priorities will usually differ. Unique value priorities will exist between the members' list of value attributes and the relative importance of these unique attributes will need to be determined. Developing an understanding of the MVS and the complex interactions and relationships between the needs and wants of the constituents is typically the task of the commercial arm of an organization working in close collaboration with key individuals knowledgeable in Regulatory, Pricing & Reimbursement, Medical/Clinical, R&D, Market Research, and Discovery. Before any patient can be entered into a clinical trial, the value proposition needs to be established and agreed upon by the organization at large. The recent history of biopharma is littered with the corpses of dead programs; many of which were never properly characterized from the beginning. Having the value proposition established early allows all key stakeholders in a company to understand, develop, plan, and execute their area's role and responsibilities in the development program. Importantly, it allows for the needs of the members of the MVS to be discerned, acknowledged, and prioritized. This process ensures that the needs of the MVS members are addressed and strategies and tactics to generate data in the development program proceed in a logical and evidence-based fashion. 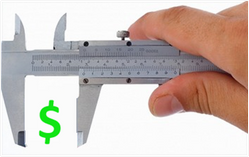 A key reason to establish what the value proposition is for the product early in the process is to ensure that the tools for measuring clinical trial outcomes are available and acceptable to the associated member(s) of the MVS. If a new health outcome endpoint is going to be used, the tool(s) to measure it will need to be developed, validated, and acknowledged as acceptable by the reviewing stakeholder(s) prior to its use in the clinical program. It can take some time to develop new tools and having them vetted; waiting or not realizing the need to have the tools will delay the development plan, product launch, and time to income generation. Assuming the assessment of the MVS was properly conducted and the key outcome(s) and associated performance level(s) for success were established early in the development process, an assessment (typically via forecasting) needs to be performed. A firm understanding needs to be in place to understand the offerings to the MVS members by the assumed SOC at the time of launch and for future competitors for as long as feasible post-launch. Only until this understanding is in place can meaningful forecasting take place. Ensure that this process includes both direct and adjacent competitors, i.e., will a surgical cure for a current medical treatment-only condition change the need for your product?, and the potential for a change in the MVS dynamics, i.e., will the availability of learnings from 'big data' sharing between stakeholders change the value equation? Did the companies marketing oil lamps consider Edison and the light bulb as a direct and near-term competitor? How well did hard-copy book stores foresee the competitive impact of e-books? Product level forecasts with associated net present value calculations should be developed for the multiple scenarios foreseen. 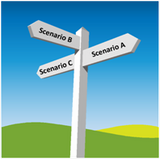 Probabilities for each of these scenarios can be included to provide the range of outcomes and resulting returns. There will likely be one or more future scenarios that will be identified as having the potential for significant positive or negative effects on the asset's future value. Surveillance for the conditions of the factors leading to these scenarios then has to be put in place. These critical sign posts for the project (should we stop, continue, accelerate, or move in a different direction?) are integral in ensuring resources are appropriately allocated. If an organization has more than one asset in development, a portfolio perspective incorporating the information from all development and in-line products can be developed to provide management with the information necessary for strategy development and decision-making on resource allocation. Contact Partners in BioPharma Consulting to see where we can assist you with developing or assisting you and your organization with responding proactively to answering these and other questions you may have. 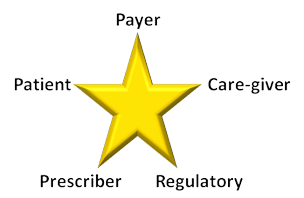 Perhaps we could help you with developing a Medical Value Star for your asset and assist with forecasting and program/portfolio evaluations. We can manage a project from beginning to end, provide contracted support, or suggest talented experts from our alliance partners to help you achieve your goals. Click here for an outline of services that can be designed to meet your needs.